A checkup allows problems to be identified when they are small. This makes fixing those problems less expensive and more likely to be effective than if the problems are allowed to become much larger before they are discovered. Most of us figure our physical condition and the condition of our mouth remains pretty constant over time. This is often true, but there can be changes that cause a lot of damage in a short period. These changes can include starting a new medication that has as a side effect the reduction of salivary flow. This reduction of salivary flow is compounded if the person decides to start using hard candies to make the mouth feel more comfortable. People often think a little dryness in the mouth or a few hard candies each day can’t cause much damage. However, there is a delicate balance between the demineralization caused by the action of acid in dental plaque (the soft white stuff on your teeth), and the remineralization from various sources of fluoride in our mouths. Often a small change can transform a mouth that was in remineralization mode into a mouth in demineralization mode. A hiatal hernia can cause damage very quickly due to the dramatic increase of acid in the mouth from the introduction of small amounts of acid from the stomach into the mouth several or many times every day. Dentists class patients into a couple of categories based on how a person accesses dental care. A person is termed an episodic care patient if he or she seeks dental care only when there is a problem noticed by the patient. These problems might include a broken tooth or pain of some kind. 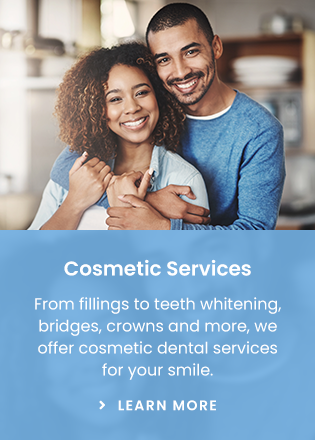 A maintenance care patient is a person who seeks dental care on an ongoing basis with regular cleanings and well checkups. A well checkup is often called a recall exam or a recare exam. A recall exam is done when the patient is not aware of any problems in the mouth. This exam is often associated with a cleaning. The cleaning is done first in order to remove food debris, plaque, and tarter (calculus) from the teeth so any problems can be seen without the hindrance of these visual obstructions. This kind of exam is contrasted with a specific exam which addresses a specific problem the patient has noticed and has sought the care of a dentist to try to rectify. A specific exam will not address all the teeth or other structures in the mouth, but will often include a list of options of treatment and expected outcomes for those methods of treatment as well as expected costs. An emergency exam addresses a situation causing the patient pain. A specific exam might be to have a look at a broken tooth that does not hurt. Treatment options will be discussed and a plan made. Alternatively, an emergency exam may only address whatever is causing pain and explore only options to reduce or eliminate the pain. Of course, the most expensive and least convenient way to access dental care is the after hours emergency dental visit. Dentists and insurance companies alike understand that maintenance care patients spend less money in the long run by far when compared to episodic care patients. If a person waits until something hurts before seeking treatment, the treatment options are often expensive and/or drastic. Of course, trauma (like falling or being hit in the face with a hockey puck) will require an emergency visit to the dentist even for the best maintenance care patient. However, the inconvenience and expense of visiting the dentist because of a large cavity finally reaching the pulp (nerve) of a tooth can nearly always be avoided by having at least yearly recall checkups. Every few years, what is termed a complete exam will usually be done. This exam will address long term goals the patient may have involving many teeth. In short, you need to have regular checkups even though you are not experiencing pain because in the long term you will save a lot of money and time (and pain) by discovering and fixing problems before they become something requiring complicated and expensive work. Ask your dentist what recall exam interval he or she suggests for your individual case.